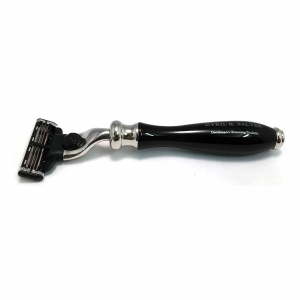 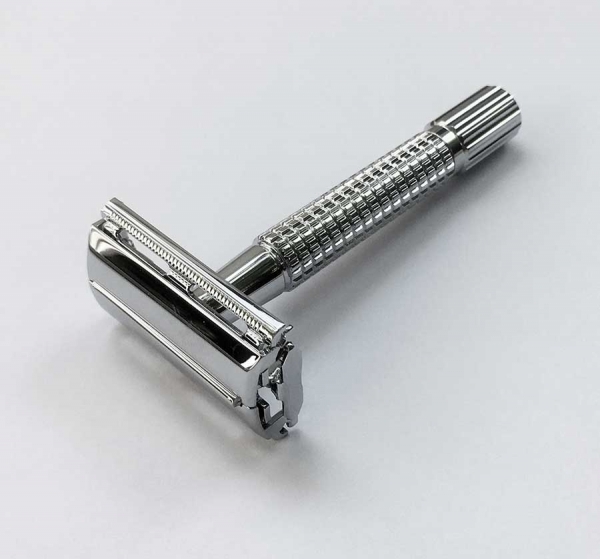 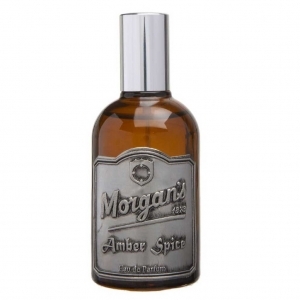 If a gentleman desires a proper shave every day, with a tool which has not been necessary to change for at least 80 years, then the Timor Chrome Safety Razor will do the job, time and time again. 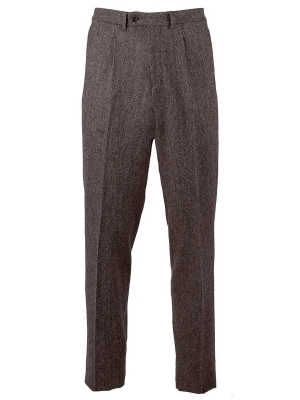 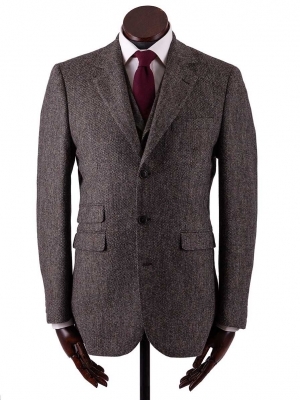 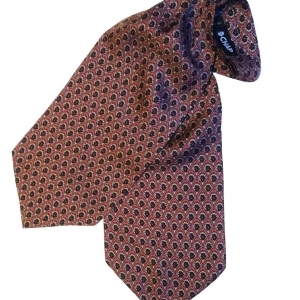 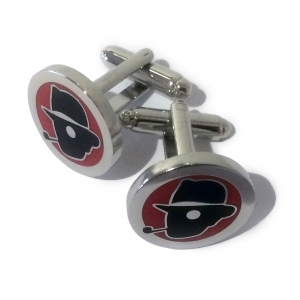 Comes with free 5-pack of Derby Super-stainless double-edged blades. 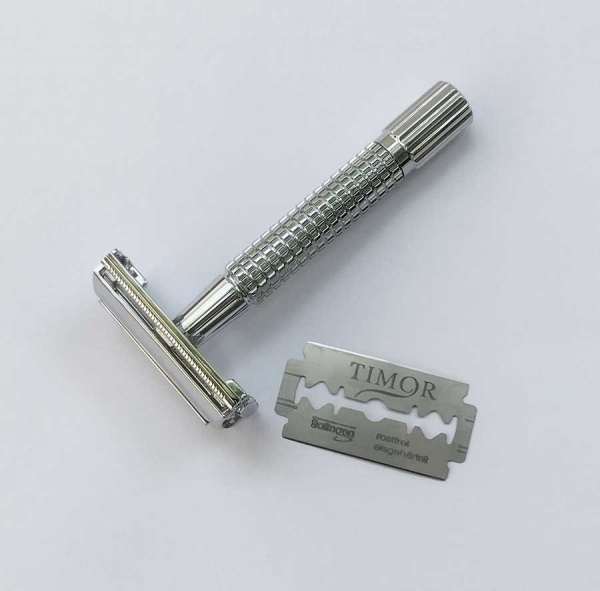 If a gentleman desires a proper shave every day with a tool which has not been necessary to change for at least 80 years, then the Timor Chrome Safety Razor will do the job, time and time again. 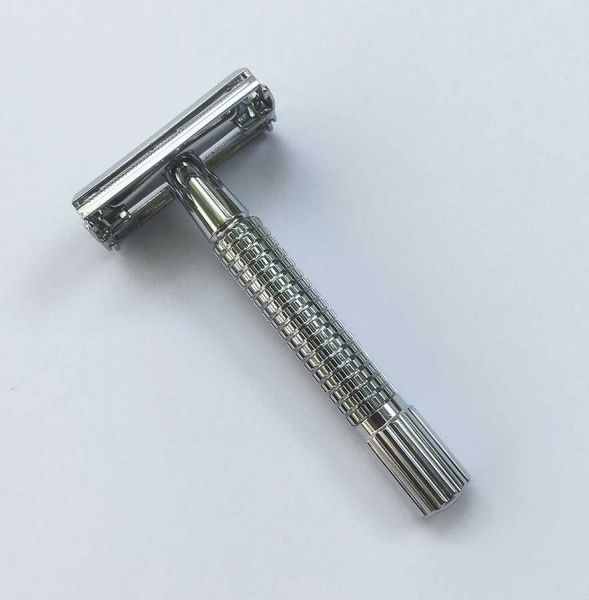 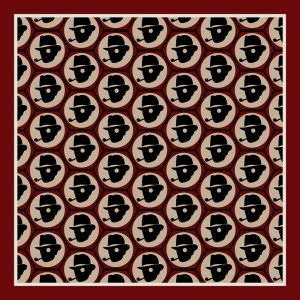 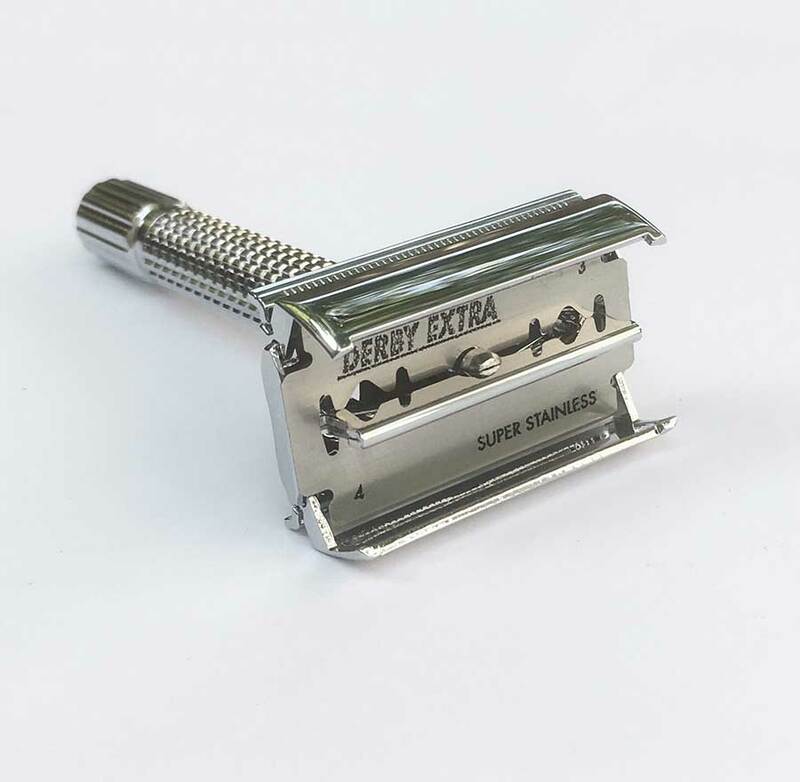 There are many advantages to using a traditional safety razor: because it uses proper razor blades, it gives a smooth, clean shave; it is a joy to use, for it not only looks beautiful, but also connects the shaver with men of the 1930s, 40s and 50s who used exactly the same instrument; it is also money-saving, for each two-sided razor blade gives at least six perfectly clean shaves, and a new pack of blades costs next to nothing. 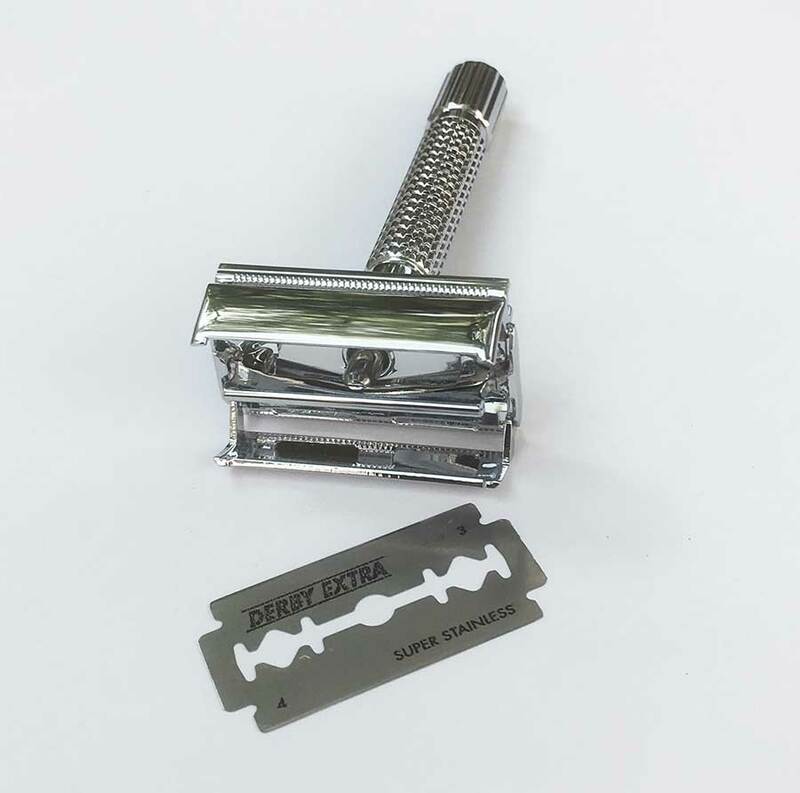 This particular model has the ‘butterfly-clasp’, which easily opens by revolving the handle to insert a fresh blade. 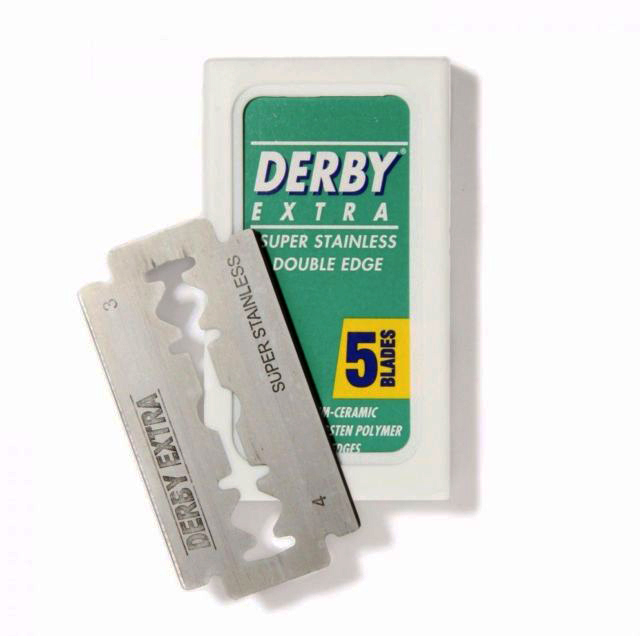 Comes with free 5-pack of Derby Super-stainless double-edged blades.